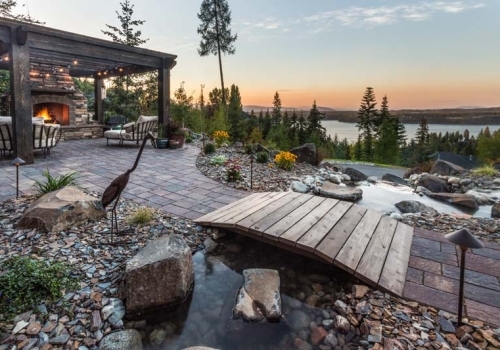 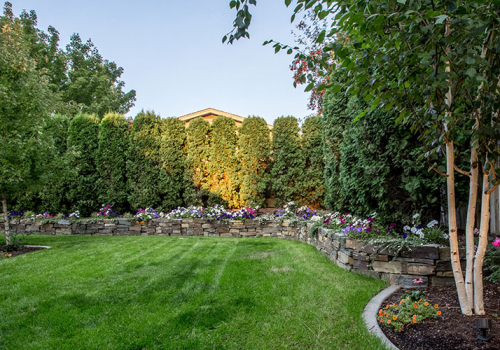 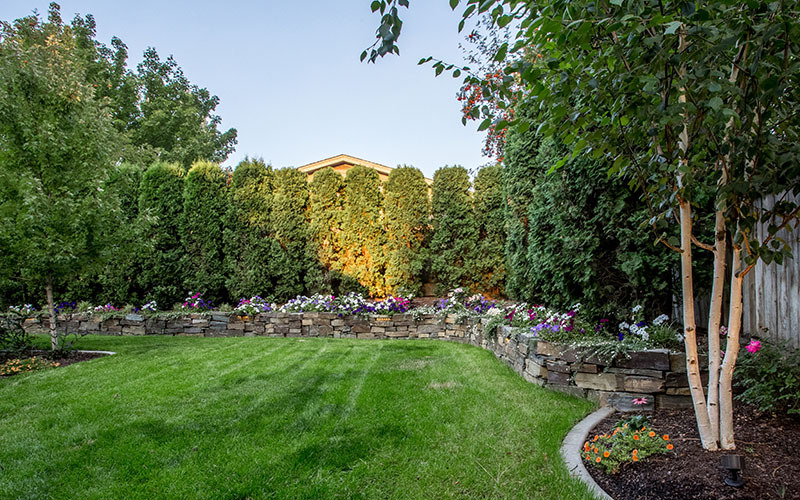 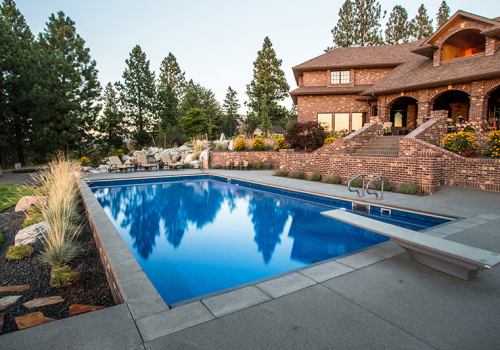 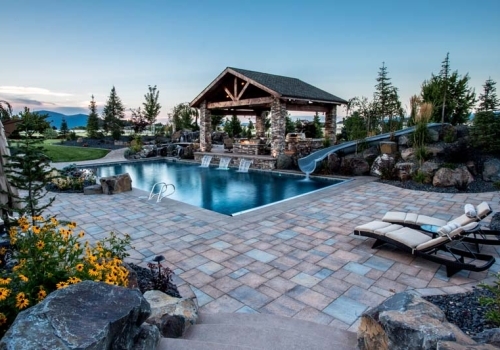 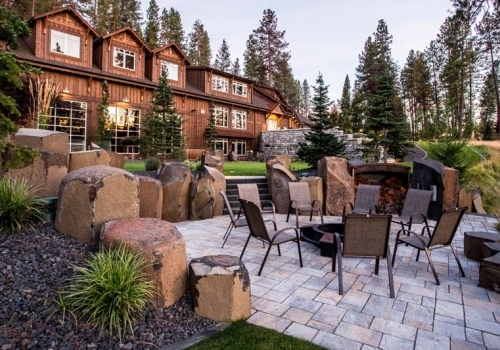 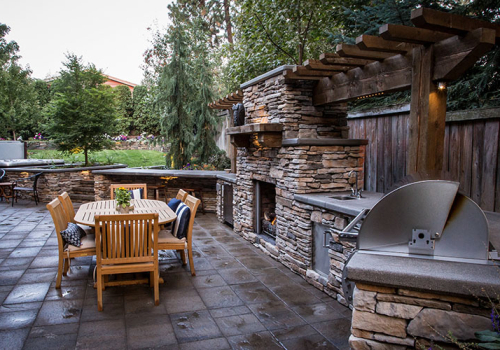 Despite the challenges of narrow, L-shaped, multi-level yard, this South Hill landscape was transformed with a feature-packed outdoor entertaining space. 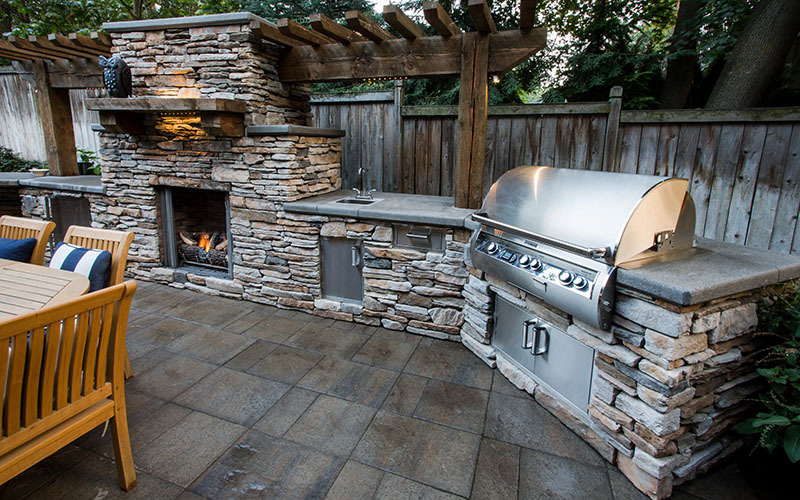 A custom masonry fireplace anchors the space, and the gas insert makes it simple to turn the flames on and off as desired. 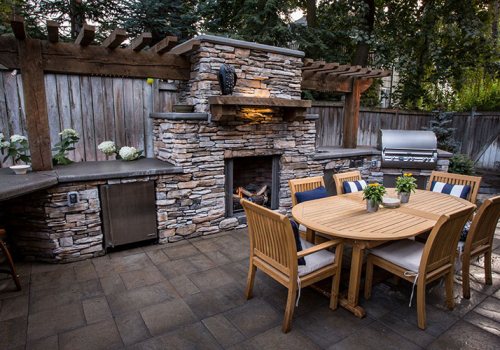 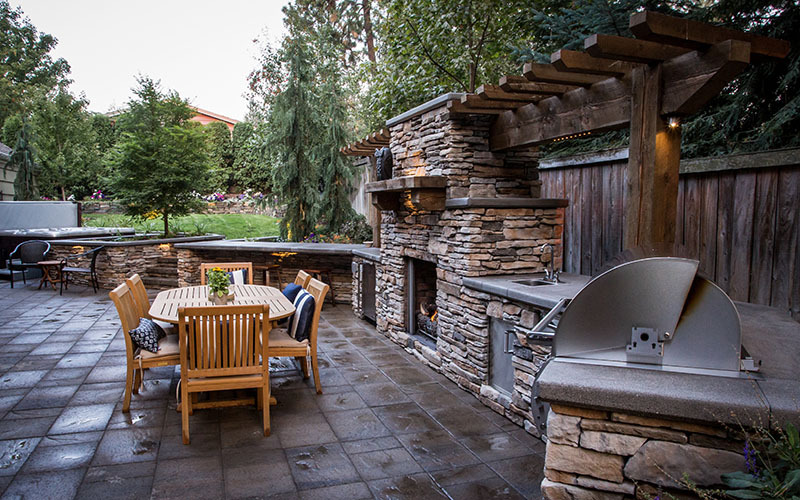 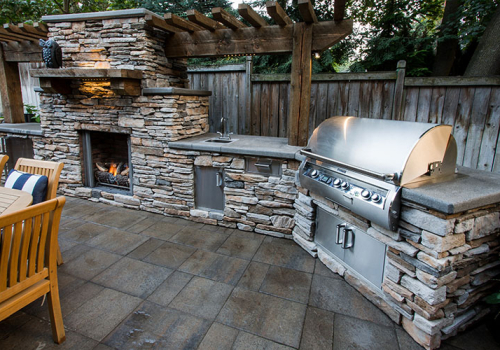 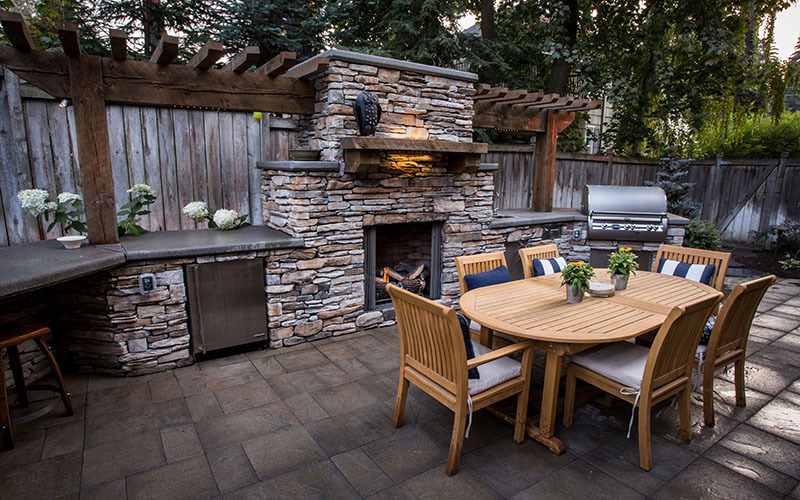 Elements of the outdoor kitchen flank the fireplace, including a gas barbecue, prep sink, outdoor refrigerator, and bar seating, while the concrete countertops offer a low-maintenance surface that stands up to the elements. 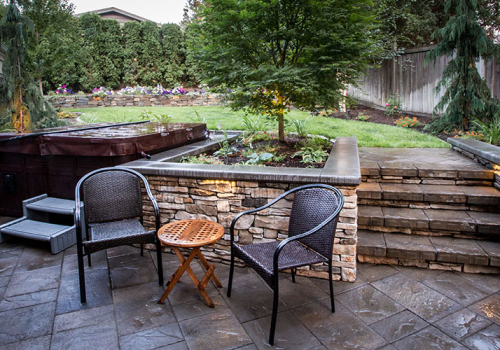 The masonry and concrete elements carry through to the retaining wall that encloses the patio and leads to the next level of the yard. 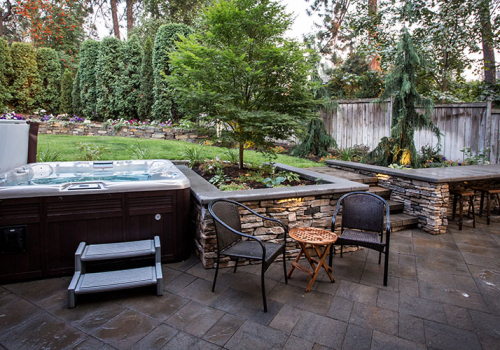 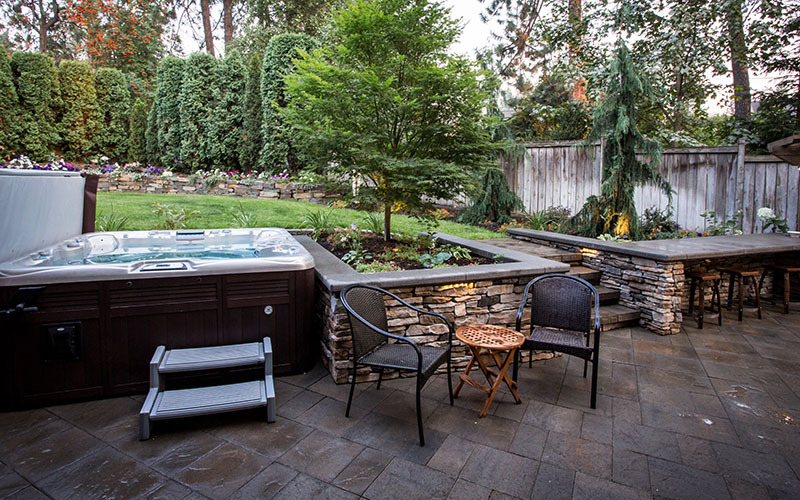 An alcove in the retaining wall creates a cozy setting for a four-person hot tub. 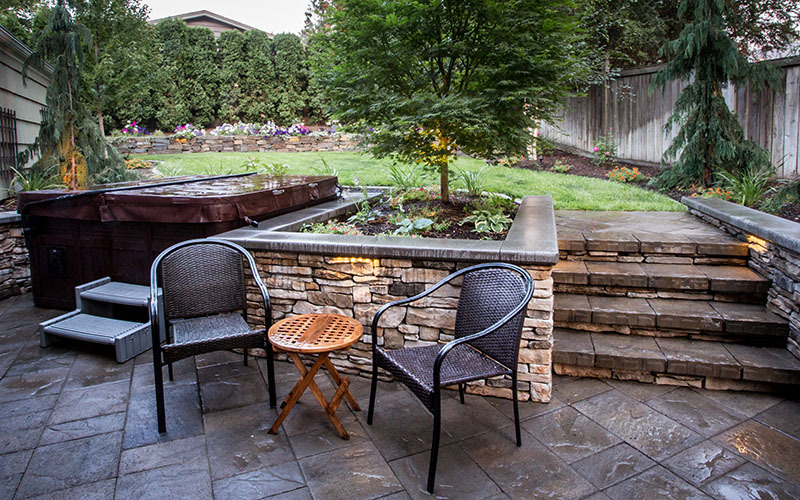 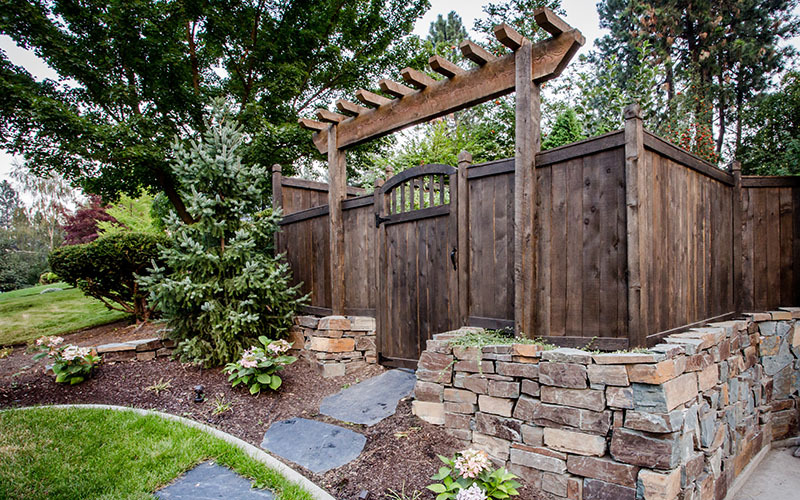 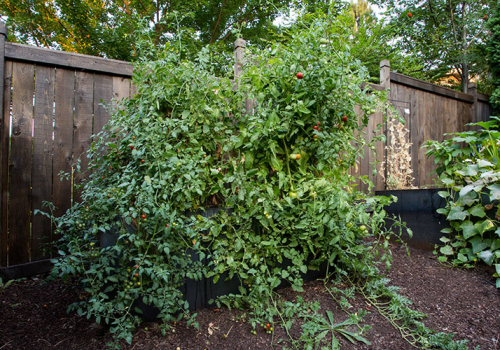 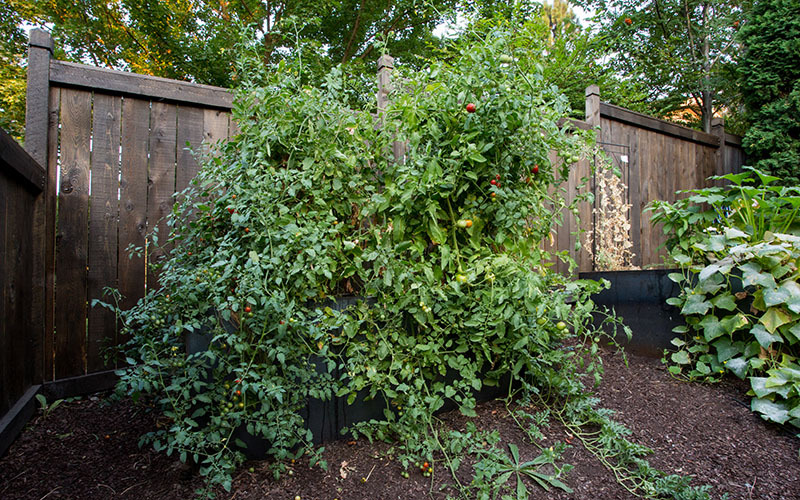 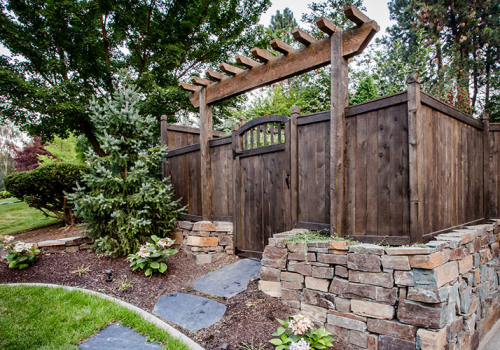 On the upper level, a dry-stack wall encloses a bed of arborvitae to screen views to the neighbor, while lawn wraps around the corner to raised garden beds and a custom cedar gateway.